Congratulations to all of the winners, and especially to Jane Lynch, who I think deserves her golden statue most of all. Oh, and that intro number I mentioned? Check out this absolutely fantastic Glee-inspired number, featuring Lea Michele, Cory Monteith, Chris Colfer, Amber Riley, and Jane Lynch, alongside Jimmy Fallon (the awards’ show’s host), Tina Fey, Jon Hamm, Joel McHale, Betty White, and many more of your favourite TV stars. 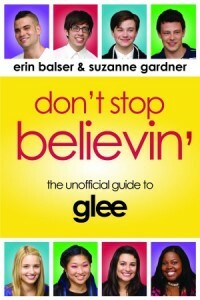 ← Win a Copy of Don’t Stop Believin’ on Goodreads!